Every Sunday morning when we are home, my husband and I have breakfast together and our favorite thing to eat is waffles. 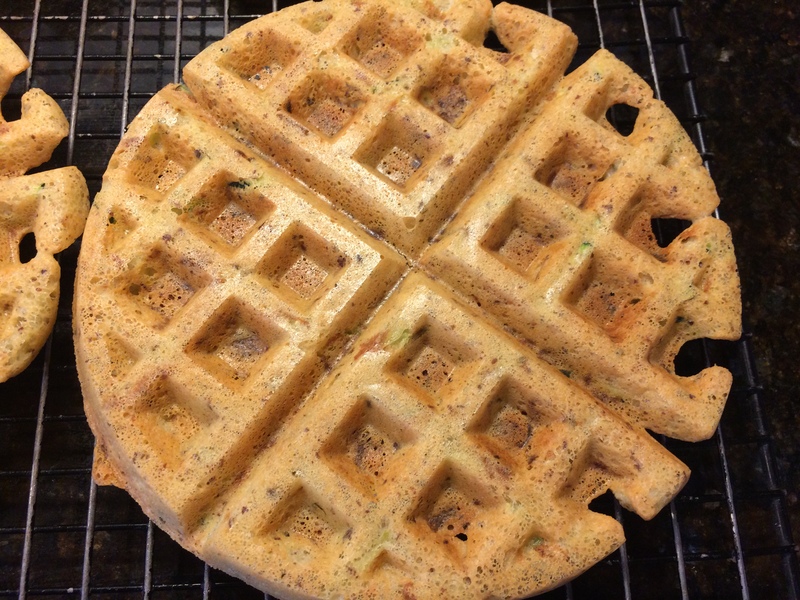 I have been on the search for a fantastic, crispy waffle for a long time and I finally found the recipe. 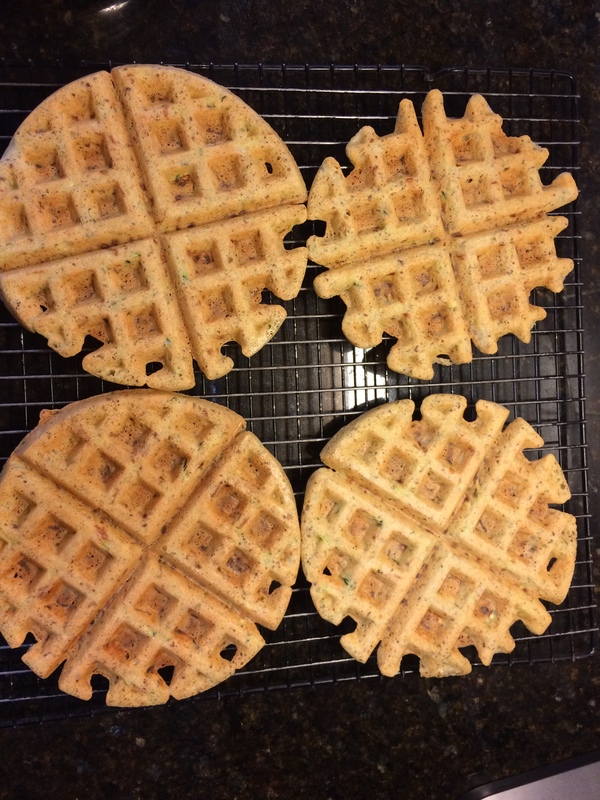 I have made some other great waffle recipes, but this one not only tastes great, but it makes the crispiest gluten-free, dairy-free waffles that I have ever eaten. What I love about this recipe is not only how easy it is to make, but how versatile. I have added and changed the recipe almost every time I have made it and each time the waffles are just as delicious and just as crispy. I forewarn you, if you are not one of those people that enjoys a crisp waffle, then these are not for you. 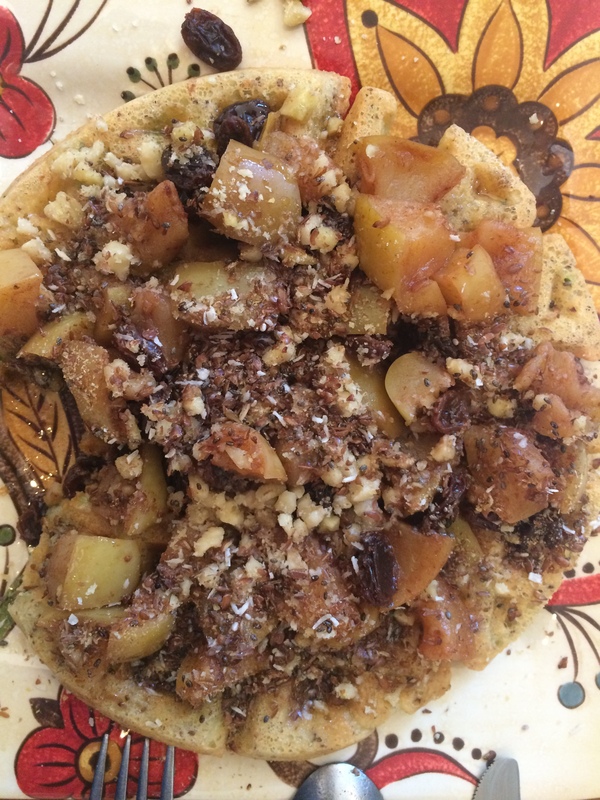 (The original recipe comes from the Real Food Dieticians and if you go to their site, you can find some great reviews and comments about this recipe. ) The recipe below has a few of my own changes. In a large bowl, combine almond flour, tapioca starch and baking powder. Whisk or stir to combine well. In a small bowl or coffee cup, whisk together flax meal and warm water. Set aside until thick and egg-like. In a small bowl, add milk and apple cider vinegar. Allow to sit while you melt the coconut oil (if you are using it) on the stove. To the milk mixture, add flax meal, maple syrup, vanilla and finally, the melted coconut oil. Whisk well to combine and quickly add to dry ingredients (because coconut oil will start to harden and clump if you don’t). Stir batter just until combined. Using a ¼ cup scoop (or size recommended by manufacturer), pour batter onto preheated waffle iron and cook until golden brown. I sprayed my waffle iron with coconut oil before cooking. I did not have an issue with them sticking but I did see some comments with the original recipe where people complained about having that issue. The first time I made them, I was out of coconut oil, so I used olive oil. The consistency of the batter was a little but thinner than it is when you use coconut oil, but the waffles cooked up the same. I have been trying to go without sugar in recipes, so I made them without the maple syrup and added 1/4 cup more milk and again they tasted a little bit less sweet but they cooked up exactly the same. I made the batter with 1/4 cup maple syrup + 1/4 cup milk and 1/4 tsp. monk fruit powder and the waffles were just a little more sweet like the original recipe. 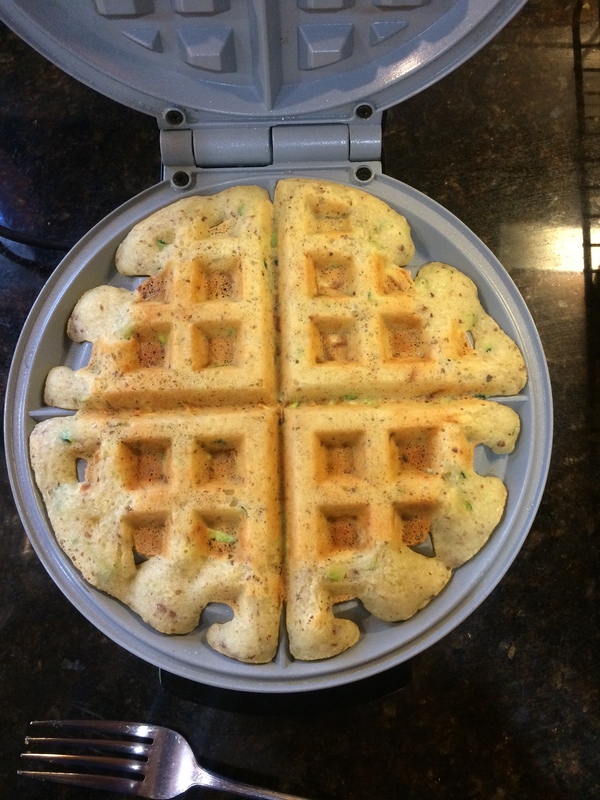 grated carrot – I made the batter in my vitamix so the carrots really were more pulverized then grated and the waffles cooked up fine with a lovely orange hue. grated zucchini – I added one small zucchini to the batter and cooked them up like normal and you would have never know that there was zucchini in there. I purchased powdered beets and kale from Earthlight and I added a tsp to the batter. It changed their color a little but the flavor was basically the same once I added all of my toppings. I hope you enjoy these waffles as much as I do. It makes about 8 waffles depending upon the size of your iron. I freeze the extras for a mid week treat! Bon Appetite!